One of my very favorite recipes to make in the Crock Pot is my 3 Ingredient Crock Pot Beef Tacos. Yes, just 3 ingredients, folks. Just dump it all in, mix, and walk away. I originally shared this recipe over at Melissa's Cuisine as a guest post while she was enjoying the first few weeks with her new sweet baby. It is so easy and simple even a sleep deprived new mama could throw this one together in a snap (with or without that essential cup of coffee ;) ). Now I am not claiming to be the first person ever to do this. I know this and other versions of 3 ingredient taco meat in the slow cooker have been done before. I have seen many that use an entire jar of salsa. Have you purchased a jar of salsa lately? They are usually $3 and up at the store! I swapped out the pricey salsa with a can of tomatoes and green chiles- you can usually find the brand name one for around $1, but I saved even more and bought the ALDI version for just 59 cents. You can also use a pound of chicken breasts in this recipe instead of the ground beef. Just shred the chicken with two forks before serving! 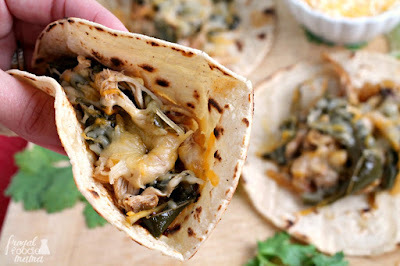 You can use the chicken in tacos or as filling for quesadillas or taquitos. 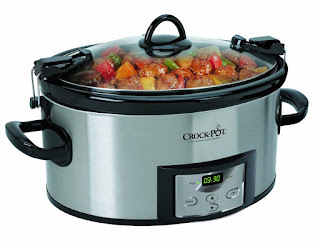 Just dump all 3 ingredients in your Crock Pot, mix, and cook on Low for 5-6 hours. If you can, stir every couple of hours to break up the ground beef. But if you are not home, you can just break up the meat into smaller chunks right before serving. 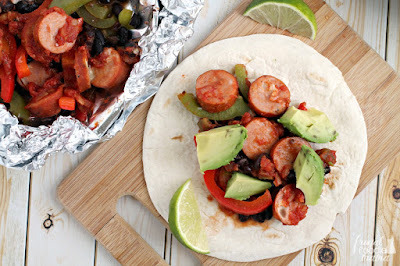 Serve with taco shells and/or flour tortillas and your favorite taco toppings. 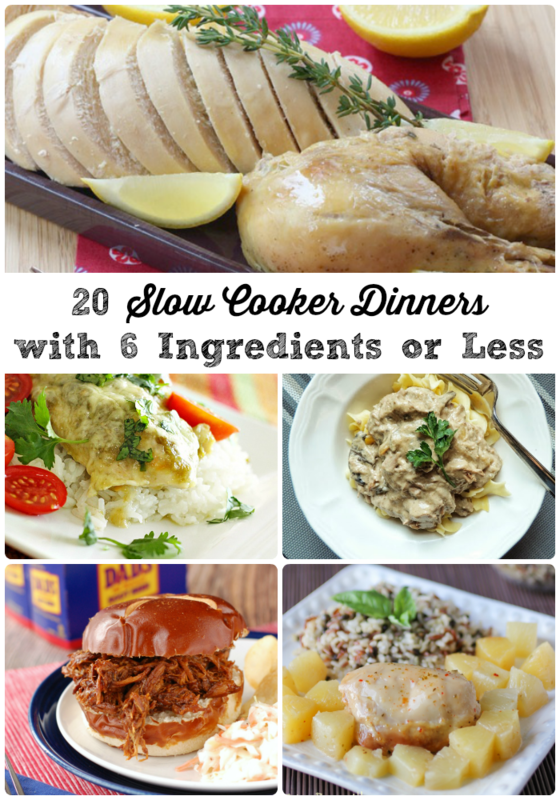 Do you have a go-to super simple slow cooker recipe that you make often for your family?